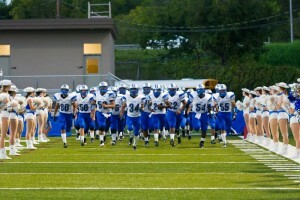 It’s early in the season, but the McCallum Knights football team is off to a shaky, but exciting, start. In the first game, the Knights fell to the Trojans in the Taco Shack Bowl between the two North Austin rivals. Anderson won 48-34. The following week, after an hour rain delay due to lightning, the Knights used their offensive strengths to pull out a win.They beat district 5A Akins 60-43.Optimism resurfaced as the Knights began play against district 4A teams. On their first Friday night football game, the Knights traveled to Hutto to play the undefeated Hutto Hippos. The Knights helped the Hippos get out to a 21-0 lead with several first half turnovers. However,the Knights were poised for a comeback, going to the half only down by 14.The second half was back and forth until a late incompletion in the end zone ended the Knights’ hopes. Hutto won 55-42.The weeks following did not get any better as the Knights lost to Vista Ridge 31-6. Hopes were high as the Knights entered district season poised to win yet another district title. They opened up play against cross-town rival Travis in the Battle for the Bell. The Knights were on a 13 game winning streak in the rivalry, and poised to win the bell again. After McCallum lead the game until a little more thana minute was left, Travis made a comeback with a touchdown pass and won the game 36-33. Even after the loss of the bell, the hopes for the district championship remain high as the Knights have ripped off two consecutive victories. In the Homecoming Game against the East Side Memorial Panthers, the Knights dominated from the start, winning 55-6. They followed up the win with another victory, beating the Crocket Cougars 27-14. 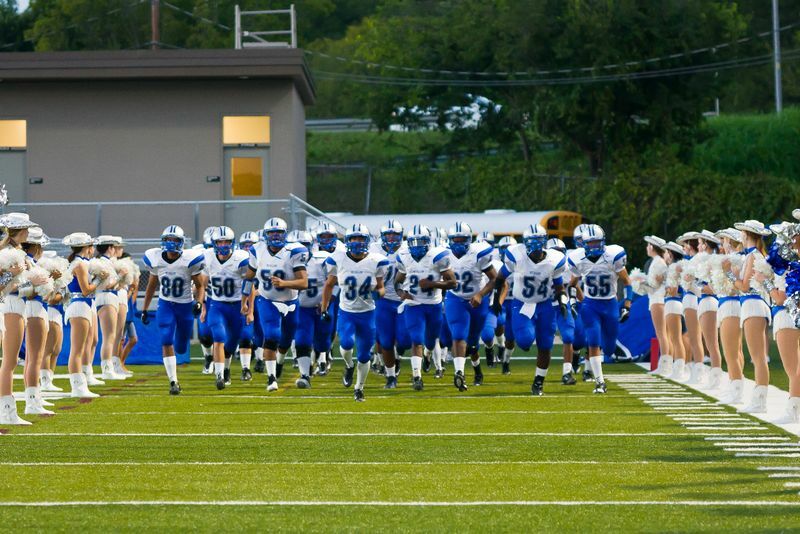 The Knights take a week off in preparation of the game against rival LBJ on Oct. 21. If the Knights knock off the Jaguars, it will lock up at least a share of the district championship barring a loss against Reagan or Lanier. Erik Brewer lives in Allandale and is Junior at McCallum. He is on the varsity football team and also covers sports for the school’s newspaper. Photo by Daniel Watson.